We make choices everyday. And choosing to make tough choices about our writing life can be more painful, influence our health, and tear at our hearts similar to making tough food choices and giving up those snacks we love. Bad food choices, bad health. Bad writing choices can lead to being overwhelmed, discouraged, unproductive, and hopeless as we compare how others are more successful than ourselves. When that happens, it is time for a change. Bad writing choices may be an over-statment of the word "bad", but sometimes a writer must take a look at the actions being taken to promote a writing career versus the busy activities that maybe associated with a writing career, and I am at just that place.... I need more actions to move my writing forward and less activities that take up my time but don't advance my personal goals. Where do you stand with actions vs. activities? It is important to analyze where you want the rest of the year to end up as far as those writing goals that were set in January. For me, I had to bow out of a writing group that I love ( tears at the heartstrings) but that was not really helping me to write. I have bowed out of two other monthly writing groups as well that required a monthly fee and were full of good advice but did not help me to write more. 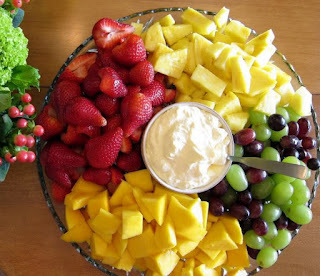 (It is similar to decreasing the chocolate and adding the fruit for a more healthy diet. A kind of discipline that will bring health back to your body and more pages to your next book. ) I need to socialize less, promote the businesses of others a little less, and write my own products more. It is not selfish, it is business. Without more pages of work, I would have nothing to promote. Don't get me wrong, promoting others and networking is essential to a writing career and to getting your name out there and noticed especially on the sites of other successful authors. And I love promoting great new authors, good books, and established authors releasing new work. But if networking and promoting others is taking up all the time of a writer and the writer no longer has new products or material to send out to publishers, what good does it do to have your name splashed on those sites? "Author such and such..... oh yea, what does she write? Oh that's right, she stalks other author sites but doesn't write, has no expertise, and sure doesn't have a platform....." You get the idea. At the risk of becoming more unknown than I am already, I have taken an action step. Less socializing and more writing. A unique idea? Maybe. A good choice for me? That remains to be seen and will be re-evaluated in September and again in December before I make my 2013 goals. But this much I know. It isn't healthy for me if I am not writing and I am just thinking about writing. It also doesn't pay the bills. How healthy is your writing life? If it is not in tip top shape with submissions polished and ready or a steady paycheck coming in from previous work then maybe it is time to make some tough choices to boost the writing career of your dreams. Terri, What a great post. As writers we do need to analyze our goals and actual actions to make sure we're heading where we should be: writing, published, and making money. I think a lot of writers are realizing belonging to too many groups and putting time and effort into projects and activities that don't increase the mailing list or move toward publication or bring in an income isn't cutting it. This is timely also. Now's the time to take a mid-year look at where you're heading! Thanks Karen, I have felt out of sync the last few weeks and realized that it is because all the networking was taking all my time and I wasn't writing... I still have a nursing job so add the social stuff and family stuff and the editing and blogging I do and I wasn't writing.. the reason for feeling out of sync. Loving the ah ha moment although bitter sweet letting go of some of the group. Turns out life goes on if I don't check FB or twitter. Who knew? I applaud your ah-ha moment, you go girl! Believe me you have made the right choice! I've just finished re-evaluating my goals and have made changes myself and I'm thrilled to get back to focusing more on my writing. Excellent! Something I need to consider as well. Thanks! Great idea--more writing, less socializing=more words on the page. I agree wholeheartedly Terri - the daily choices we make are what adds up to our writerly output. There's a time balance to manage and sometimes promotion is critical and then we have to pull back and actually begin writing a new big work again, which means less interaction. I couldn't agree with everyone and Terri more. I just hope I don't lose you at SFC yet Terri, but if we do. I understand why as well. On a personal note about this topic, I have been here many times. I even sometimes revisit my choices to make sure I'm doing what is right. For example, restarting Stories for Children Publishing/Magazine wasn't a tough choice, but it does take up much of my time and I cut back how many issues we do a year. I'm also relooking at this yet again and wondering what the future is for SFC as I would like to return to my writing. However, at this point in time, I'm happy with my choice to put my writing on hold as I have little kids still at home and so I'm happy focusing on promoting others, editing and running SFC; along with the World of Ink Network. Will a day come where I stop doing any of this and/or close it down. It is very possible, but when that day comes is still far into the future. I do hope someone will want to take over so SFC and/or the World of Ink Network so it can go on without me. Writing is something you must put time in and so choosing what is important and helps that happen is key. Congrats to those who have found the right balance and good for you to those who are looking for the balance. SFC is one of the things that I want to continue and hopefully be a source for submitting my work. Who knows maybe I can help take it over years down the road. lol. But seriously, I appreciate the comments here and the recognition that yes, we all need to re-evaluate sometimes and go back to what we love. Writing. I find I focus on different things at different times. Sometimes I do more networking, other times more writing. I'm currently looking at learning opportunities. I've joined a few groups. Alot of what I am doing is online, but there is so much to learn. I write as I go. I guess this is all one big experiment, but together, it helps me figure out what I should be doing. Thanks for the advice!